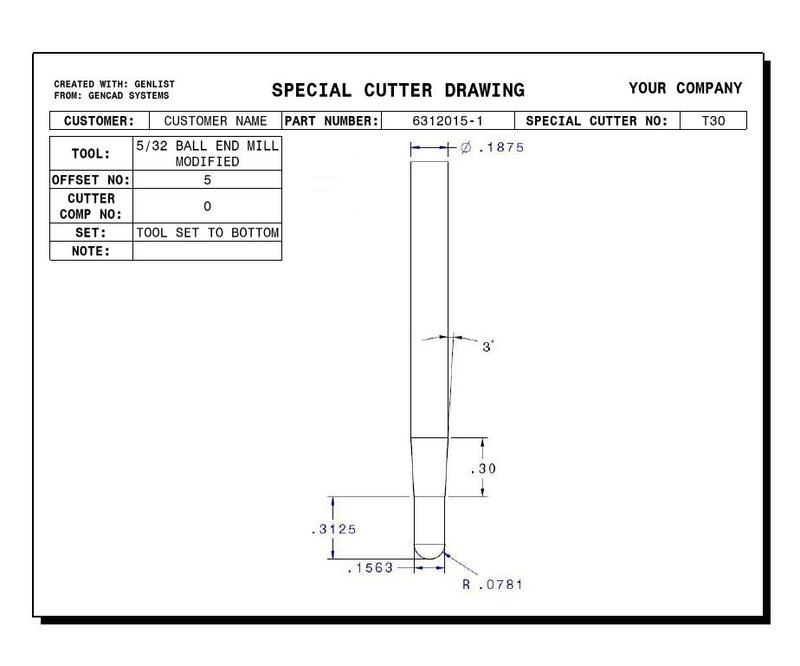 Creating setup sheets, tool list, holder list, special cutter sheets & Special holder sheets by hand can be time consuming and prone to human error. 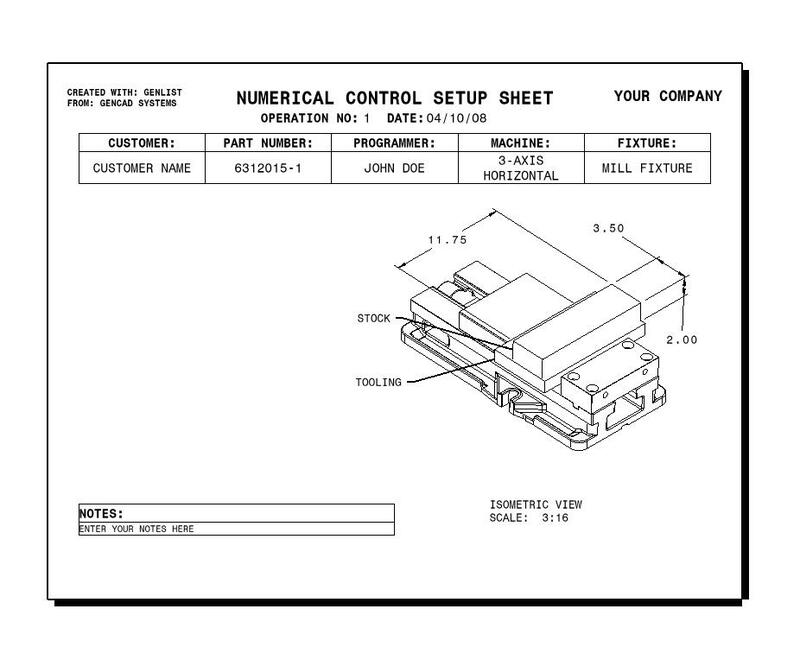 Thousands and thousands of dollars are wasted by human error in these NC setup sheets. These errors can lead to scrapped parts, damaged cutters, machine collisions and expensive down time. Let's face it the CAM system can prove a good part and program. The verification program can prove good G-code with machine simulation. But one human error documenting the incorrect details on the cutter- and all that expensive software means nothing. The part could become scrap or an expensive machine crash could occur. 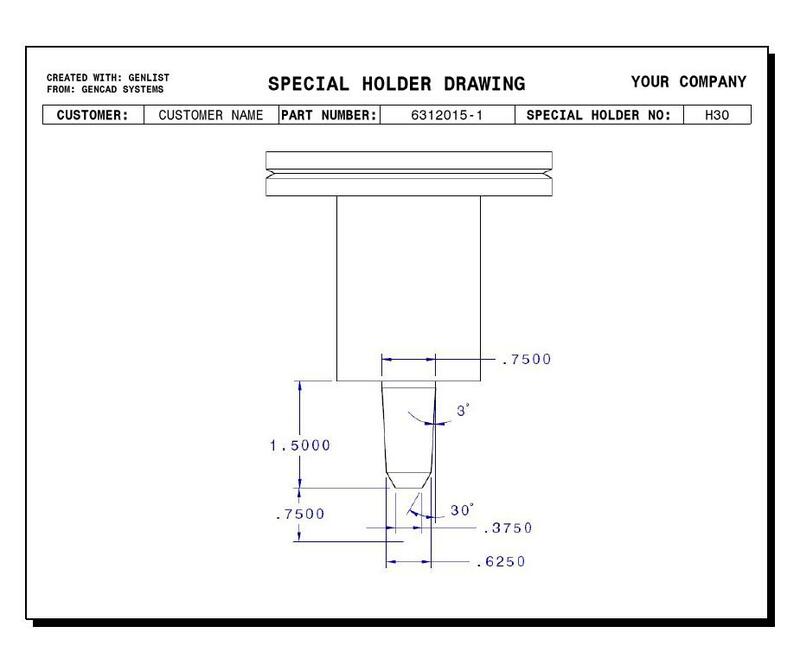 GenList automates the creation of the setup sheets, tool list, holder list, special cutter sheets & special holder sheets all inside of a Catia V5 multi-tabbed CATDrawing. GenList is easy to configure, you can be setup and running it in a matter of minutes. GenList is fast and will save you time, imagine being able to create all the documentation in just a little more time than it takes to open your CATProcess. 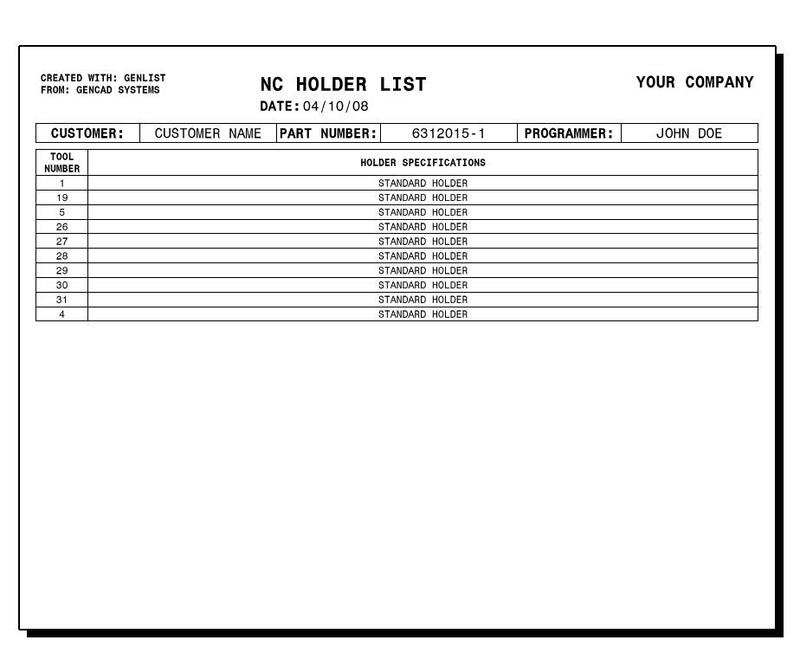 Genlist is also flexible allowing you to create a list of your machines and associated fixtures available in the program list. GenList reads all the tool & holder information directly from the CATProcess eliminating any errors. GenList is compatible with Catia V5 R14, R15, R16, R17, R18, R19, R20, R21, R22, R23, R24, R25 & R26. 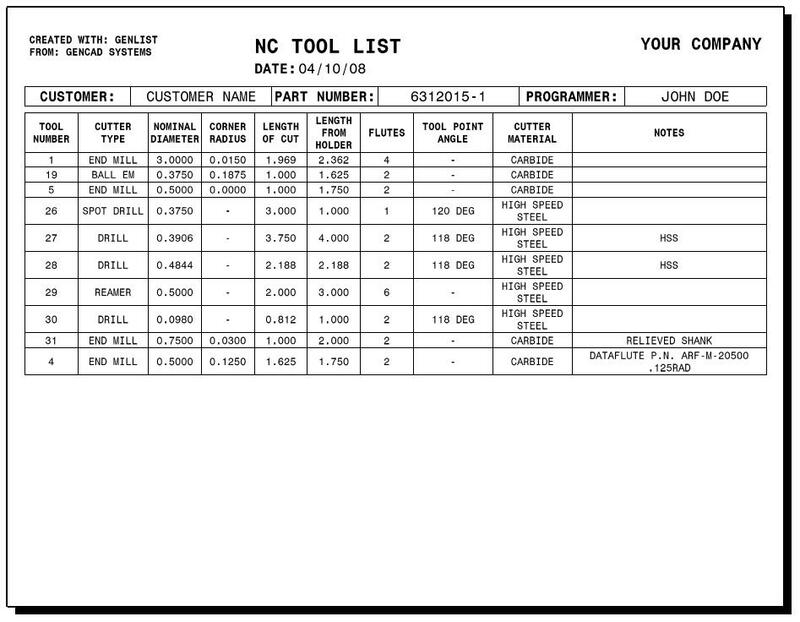 Examples of setup sheets, tool list, holder list, special cutter sheets & special holder sheets generated by GenList.